With January quickly coming to a close, it’s time to start thinking about February’s goals. I didn’t really set goals for January, but rather focused on I would apply my verb this year. I did start to dedicate myself to my blog more: starting my Slow Cooker Saturday series and updating my categories and tags. I’ve also been doing very well with tracking my food the last two weeks or so. I feel like I’m off to a very good start for the year. February is really going to be my month to dedicate myself to fitness. I didn’t do much through January because my cough came back which meant cardio was a no go. I have two main fitness goals for February. 1. 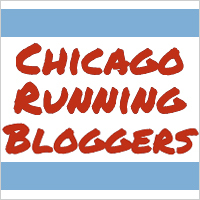 Get my half marathon training schedule in place, and start running three days a week again. 2. Increase my strength training. I often set the goal of increase my stength training, but I never seem to execute. This time I’ve got a very specific plan/ challenge in place. As I mentioned, I bought some CoreFusion DVDs from Amazon. I got the CoreFusion Collection featuring Body Sculpt, Pilates Plus, and Thighs & Glutes. My challenge for the month of February is to do at least 10 minutes of CoreFusion a day. My plan is to slowly build up the amount I’m doing. 10 minutes is nothing to fit in to my day. I’ve got the DVDs predominately displayed in front of my TV. I’ve got reminders on my calendar. I’ve got the starts of a vision board. I’m good to go. What to join my challenge?